David Foran: Woodworker. History buff. Dancer. Husband. Born July 6, 1932, in Ottawa; died Dec. 2, 2017, in Bobcaygeon, Ont. ; of serious health issues, including kidney failure; aged 85. Dave Foran loved Hank Williams and Hank Snow, John Wayne and Gary Cooper. Red wine pleased him greatly, as did baked beans and old cheddar cheese. 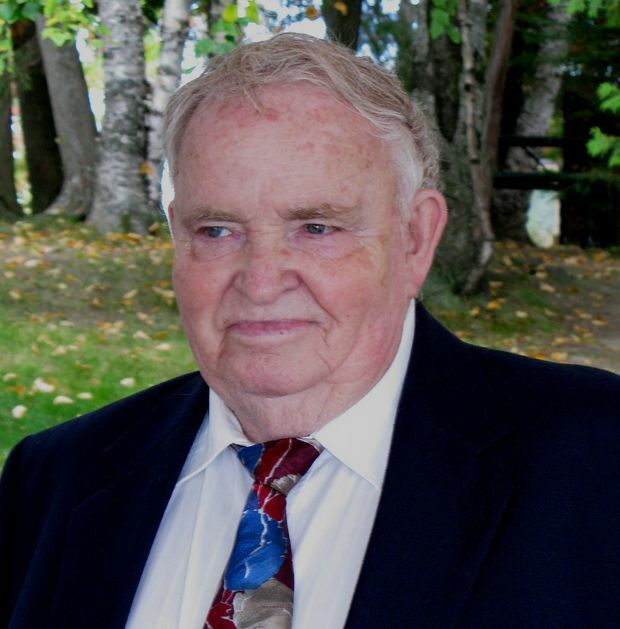 He was passionate about history, especially Canadian and British, and would take his oldest son on drives around Ontario to point out the remaining Orange Lodges – the source, he believed, of much that was narrow-minded and grim about the province of his upbringing. He worked most contentedly with his hands and for a while built model chariots and crossbows that were put on display at the local library. Once retired, he crafted pine stools, mailboxes and bird houses. He loved the beauty and sensuality of cats, all the more so for their cold killer hearts. For sure, Dave Foran loved his three children and, by the end, five grandchildren and one great grandchild. The grandparent role suited him especially: helping his grandsons build a tree fort; watching teen movies over and over with his granddaughters. Above all else, though, Dave Foran loved Muriel Foran, his wife of 62 years. They met in small town Northern Ontario in the early 1950s. She was second youngest of 12 children born to a mill worker. Dave had survived a disastrous Ottawa childhood and gone into the bush, where he staked claims and hunted his food. Stories told of that time and place suggested a reckless young man, the kind that often did not see his own 25th birthday, or else ended up a rooming-house denizen, his best days long behind. But he got lucky. While visiting a friend in Blind River, he met Muriel Fallu, a school teacher. Soon they were married and living in a tiny house in the town. Soon after again, they were in the suburbs of Toronto. Children, friendships, a career managing shopping malls, followed. Happy, positive things – the opposite of that childhood, or a protracted life in the bush. His marriage helped him become a functioning husband, father and friend. He never lost that edge, however, and once, in his late 60s, floored a man half his age for insulting his daughter. He had come through a personal fire, and Muriel was his salvation. Dave and Muriel Foran loved to dance. To jive especially, the hip hop of their courtship days. They jived fast and fluid, at ease as partners, lovers and best friends. Well into their 70s they danced with such joy, astonishing their grown children, who looked away in deference, sensing that the act was, ultimately, private. In his own final years, Dave was mostly bedridden, if still his mischievous, unfiltered self. They could no longer dance. But they were together, pretty much every hour of every day, until the end, and she was never less than the great, sustaining love of his life. Charlie Foran is Dave’s oldest son.